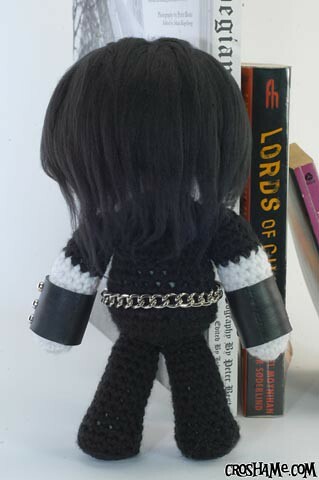 Please enjoy these latest offerings from Croshame.etsy.com! 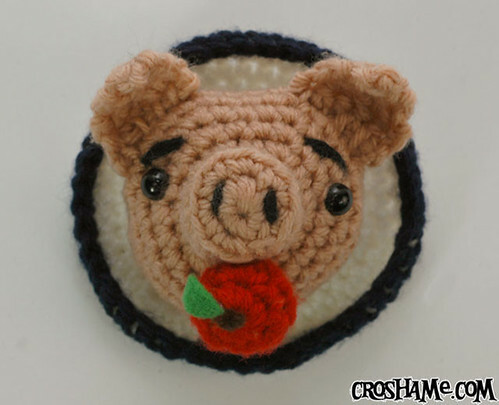 First, a new Croshame Wearable, the “Hogtied” pin! Have your pork & wear it too! 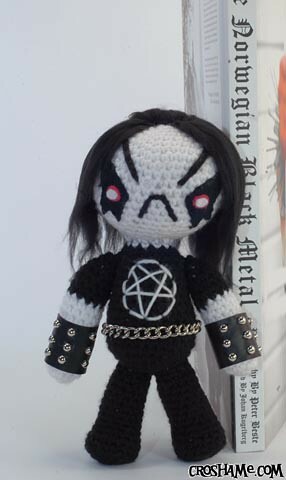 Next, an updated version of Grimm the Little Black Metal Guy! Let this cute little church-torcher into your home and he’ll surely set fire to your heart! And last but not least, we have Teen Wolfy! This fuzzy heartthrob became the big wolf on campus after joining the school basketball team! 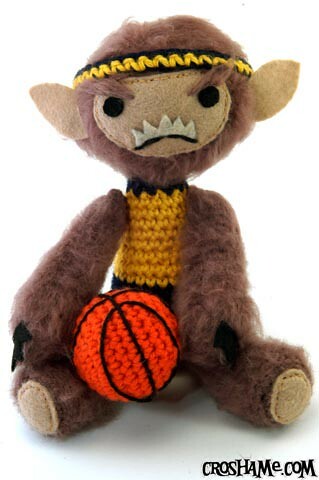 He even comes with his own little basketball. And stay tuned for an upcoming Valentine’s update with more figures! This entry was posted on February 10, 2011 by croshame. 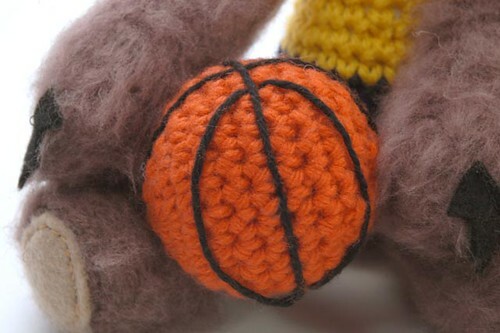 It was filed under Croshame, Etsy Store . I love your work and your site. I can’t wait to explore it all. I also really want to try some projects of my own.